Jacqueline E. A. Lawson is a genealogist and is a Research Aide at the Pacific-Alaska Region, National Archives in Seattle. 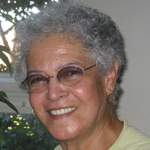 She is a founder of the Black Heritage Society of Washington State, Inc.; a co-founder of the Black Genealogy Research Group of Seattle, and a member of the Washington State Pioneers Association. Her publications have included: The Harveys — Out of North Carolina (Bowie, Md. : Heritage Books, Inc., 2000); Let’s Take A Walk — A Tour of Seattle’s Central Area, As It Was Then (Seattle: Self-Published, Third Edition, 2005); An Index of African Americans Identified in Selected Records of the Bureau of Refugees Freedmen, and Abandoned Lands (Bowie, Md. : Heritage Books, Inc., 1995; The Black Heritage Society of Washington State, Inc. Twenty Years: A Chronology of Events 1977 to 1997 (Seattle: Self-Published, 1997); Camp George Jordan (Seattle: Self-Published, 2007).